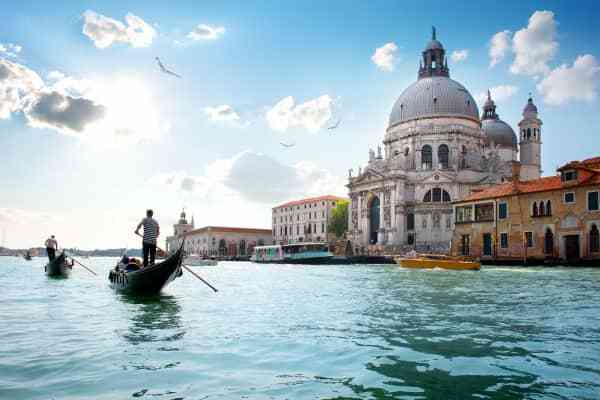 The most romantic city in the world, the floating city of Venice is one of epic grandeur. 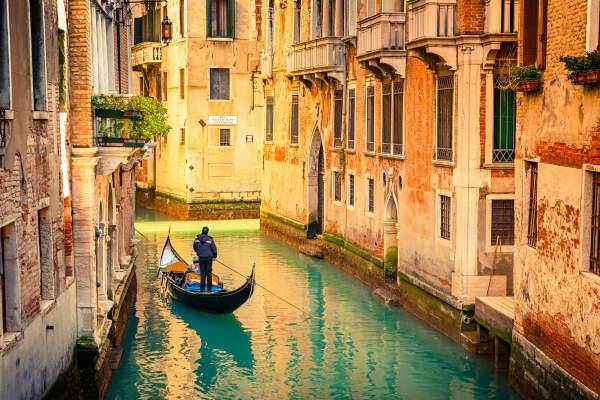 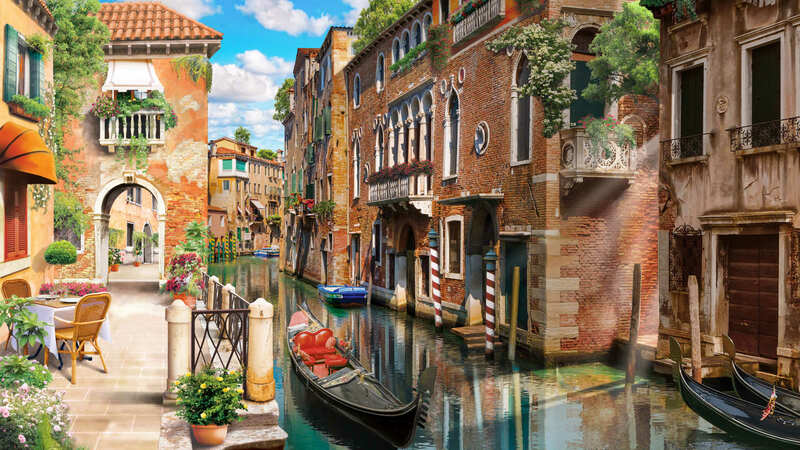 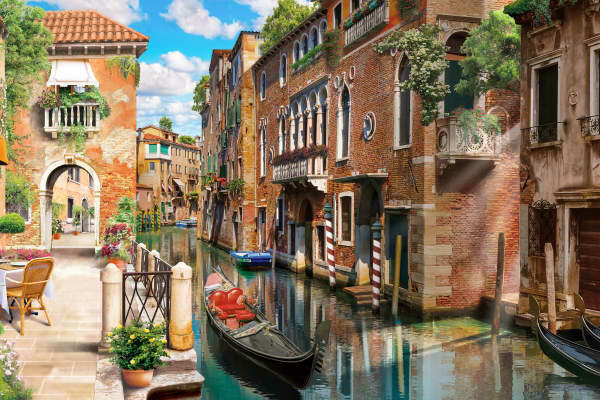 Take a gondola ride down the Grand Canal and gaze upon the glorious Venetian architecture lining its banks. 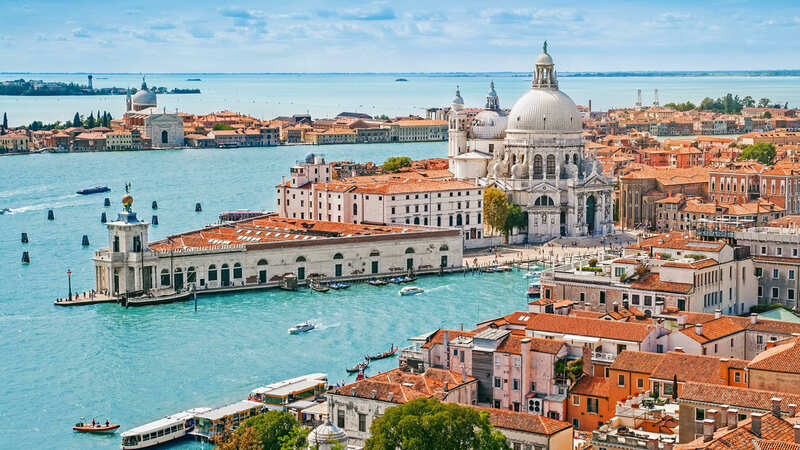 Built on a lagoon, this city will surely amaze you. 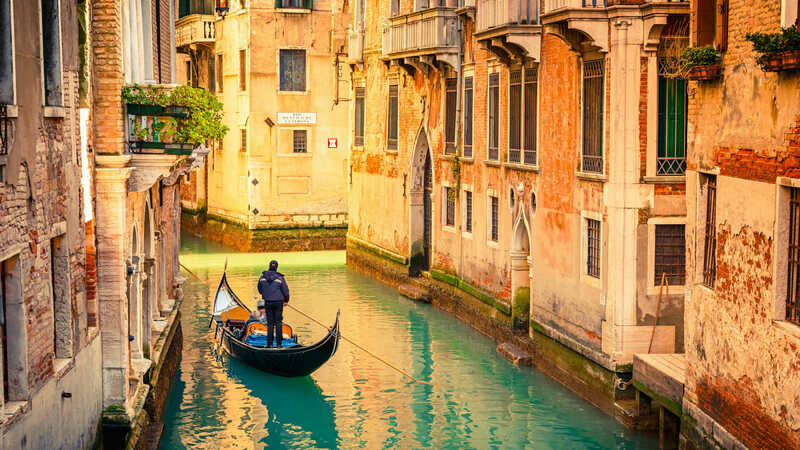 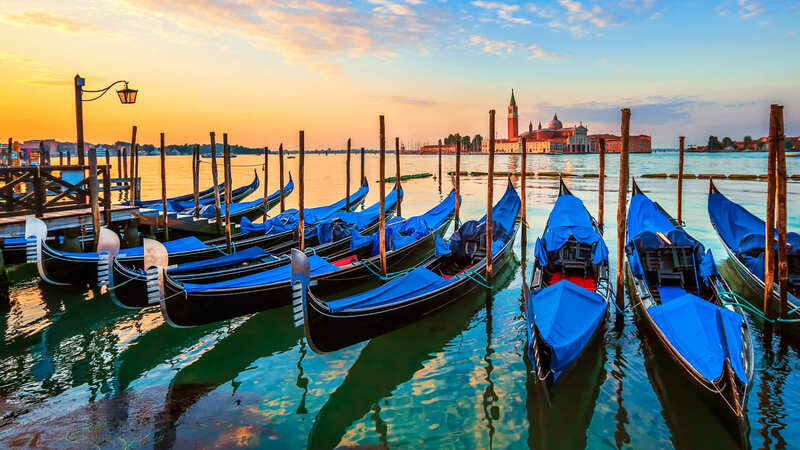 There’s nothing more romantic than taking a gondola ride down Venice’s Grand Canal. 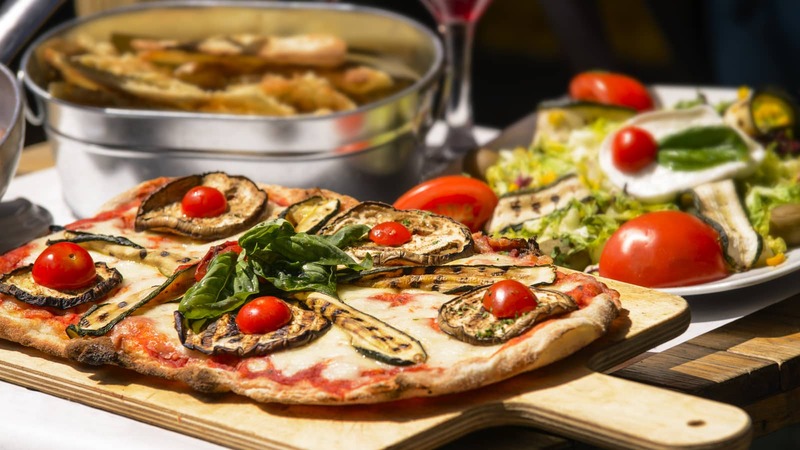 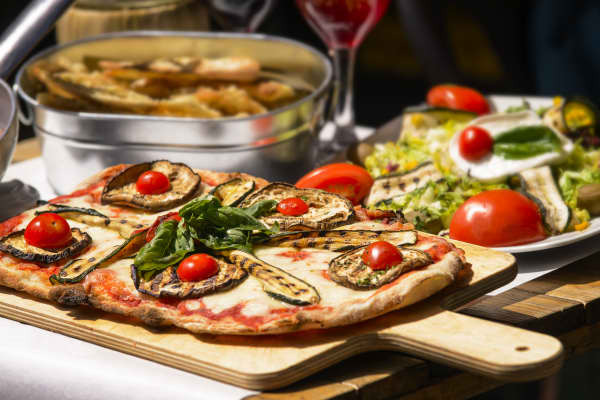 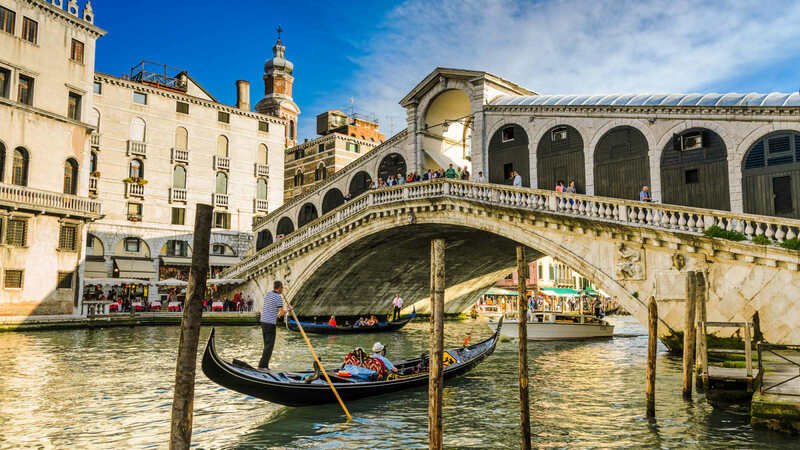 Stroll along the Bridge of Sighs, explore the range of historic sights and wind down with a coffee or a glass of prosecco in the popular St. Marks Square. 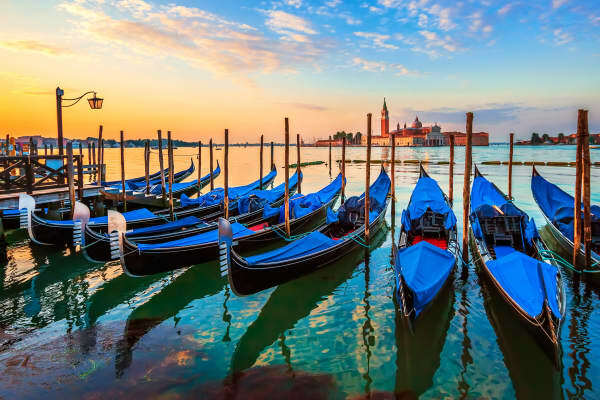 In high season, you will often find outdoor orchestras playing next to cafes and restaurants, adding a magical touch to evenings in Venice. 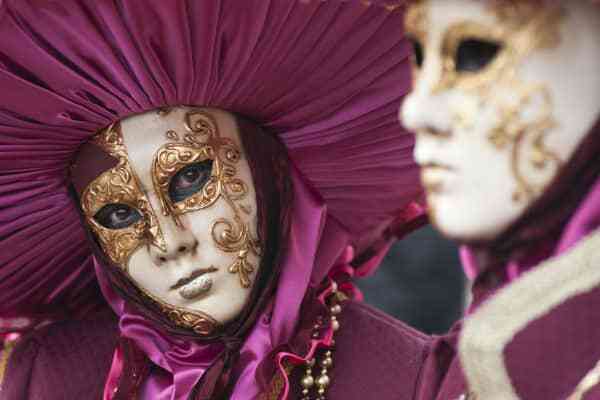 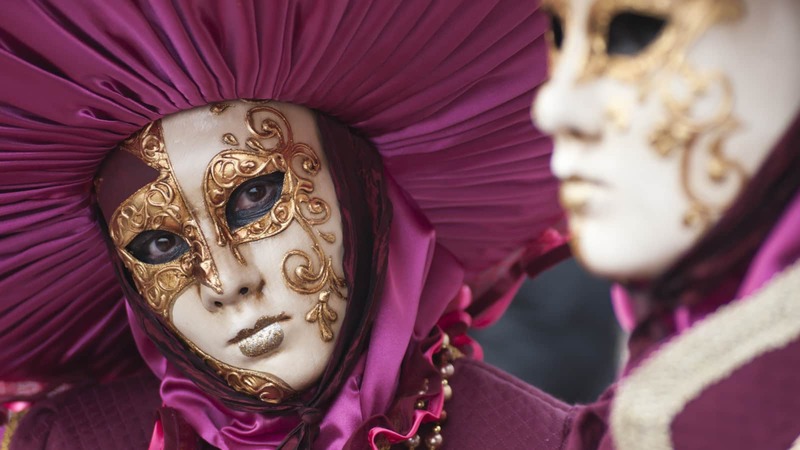 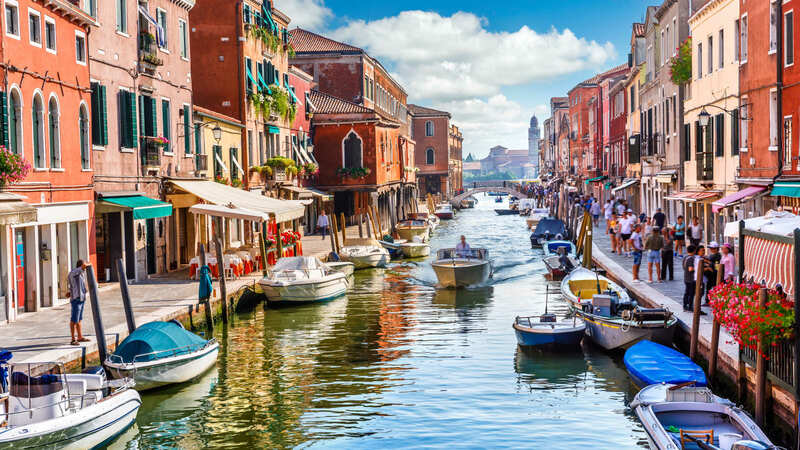 Venice has been attracting poets and artists for many years. 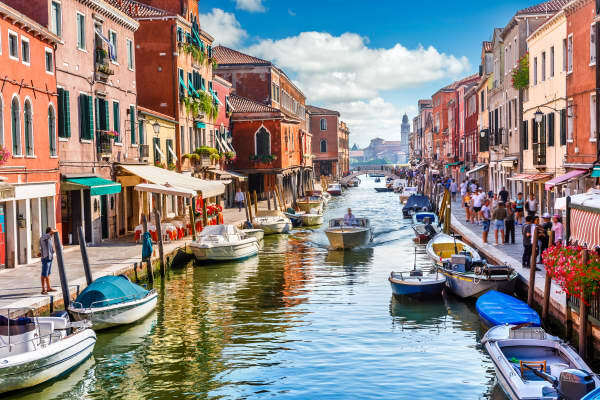 It is one of Italy’s finest cities with a truly inspiring atmosphere. 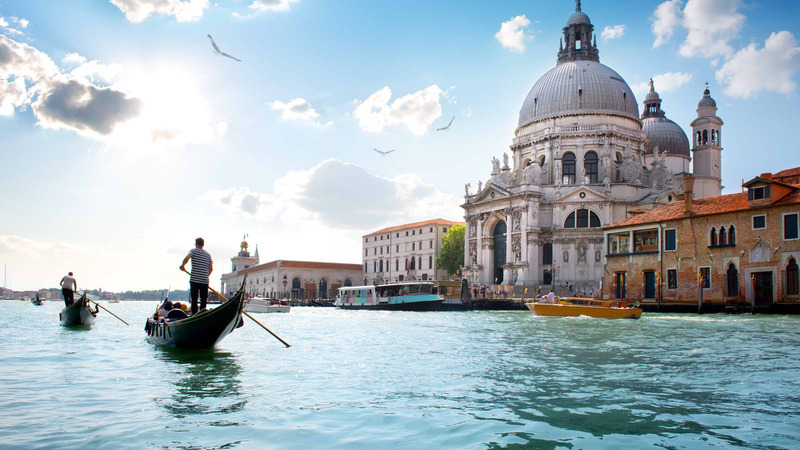 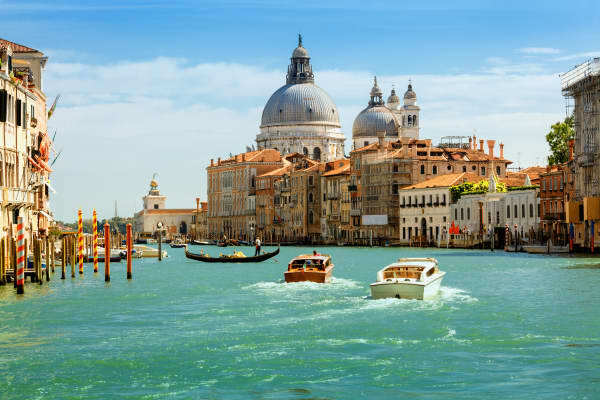 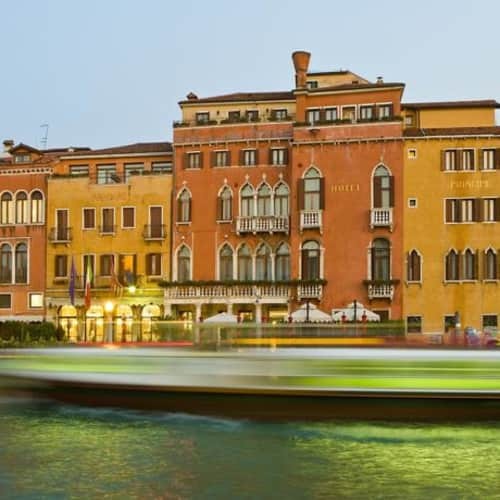 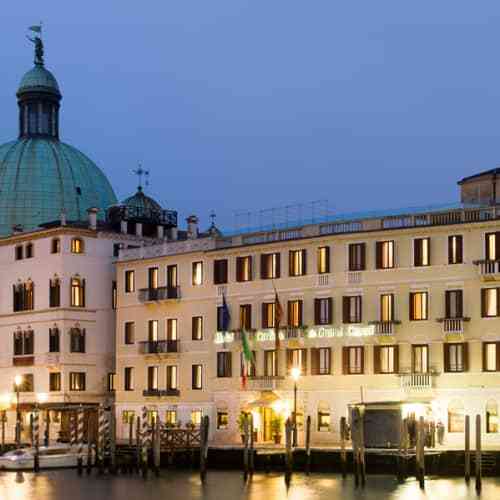 The famous Grand Canal is lined with impressive buildings and beautiful architecture. 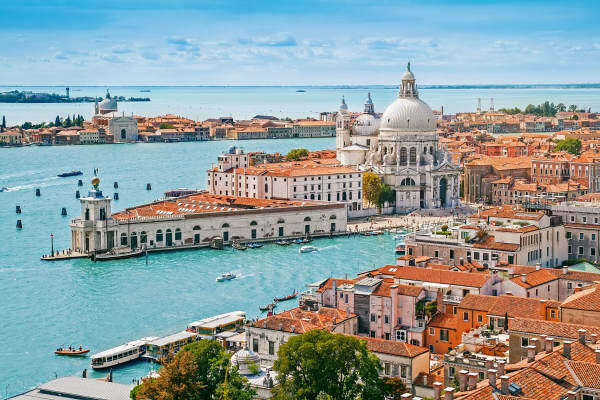 It leads toward St. Mark’s Island, where you will get a chance to explore some of the city’s most famous tourist attractions. 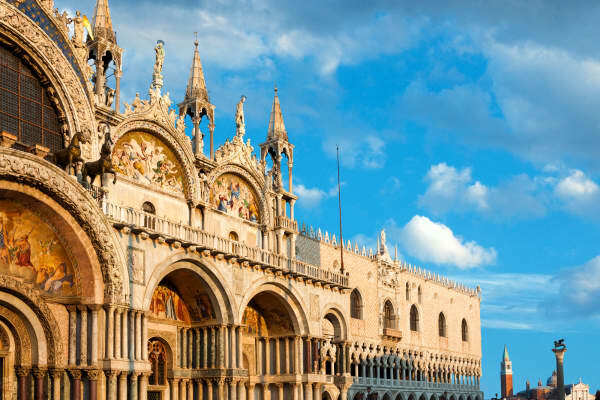 On the island, you will see the unforgettable St. Mark’s Cathedral. 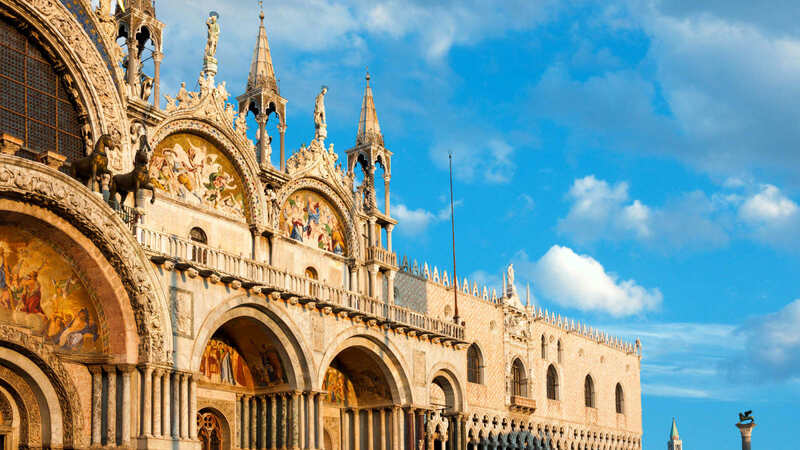 You will be struck by its beauty where the front of the basilica ripples and crests like a wave. 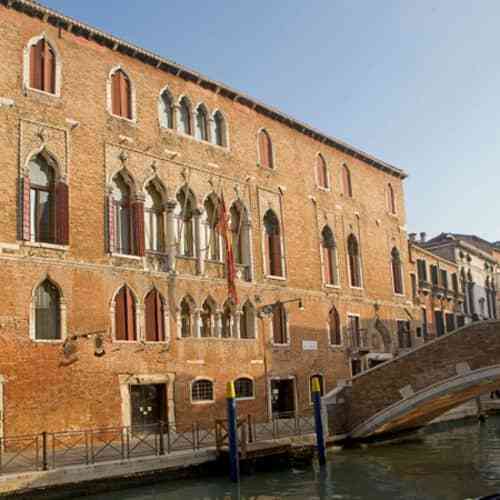 This impressive building exudes a sense of history, culture and grandeur. 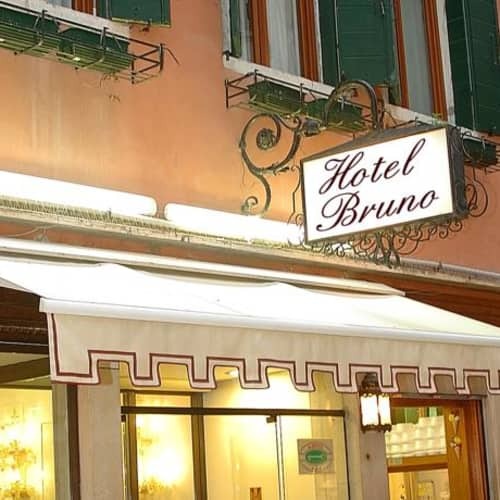 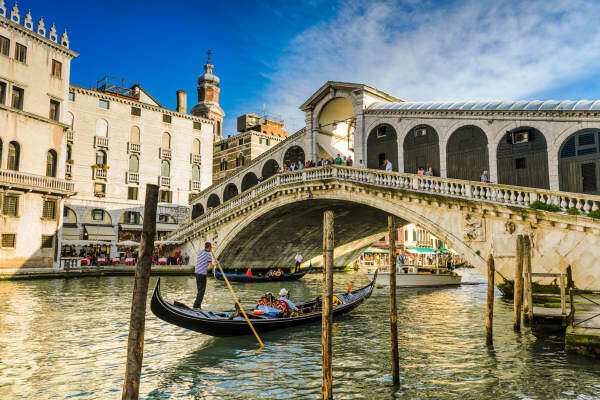 The Rialto Bridge is the most famous one that crosses the Grand Canal and a definite must see. 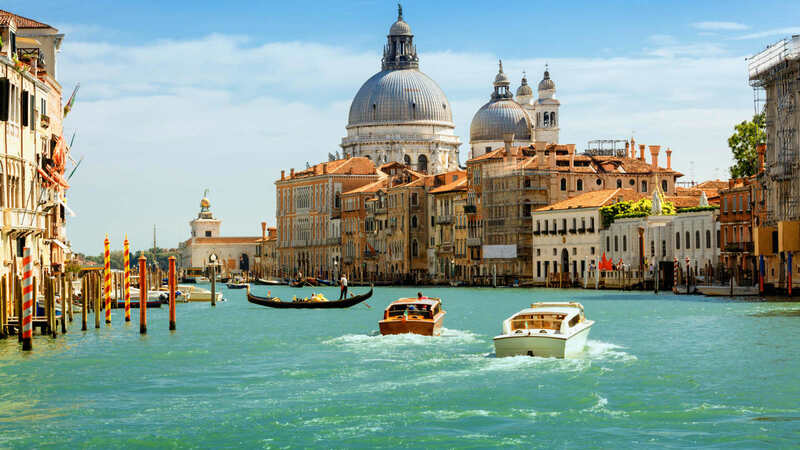 Explore Venice’s narrow backstreets to see beautiful churches lined with Veoneses and priceless marbles.